Megan O’Connell of Garden Media Group has been promoted to account executive. O’Connell is now responsible for managing her own accounts, with her first being Bulb.com. As an assistant account executive, O’Connell was instrumental in growing engagement on social media, coordinating sample programs and securing placements for clients. ABC World News Today is among many valuable placements she has secured. 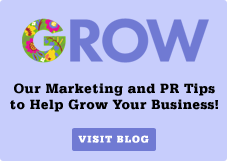 From deep dive media campaigns in regional markets to media tours to New York City, Garden Media continues to be the top PR firm in the lawn and garden industry. Megan will continue to work alongside other account managers on several Garden Media accounts as she expands her expertise in public relations, social media insights and the garden industry. O’Connell graduated from California State University, Fresno with a Bachelor of Science degree in Agricultural Communications and a certificate in Special Event Planning. Contact O’Connell at Megan@gardenmediagroup.com or call (610) 444-3040.